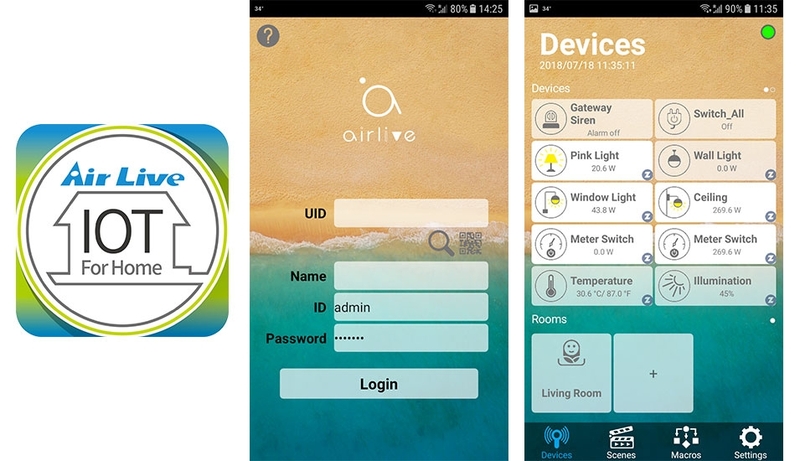 The AirLive SmartLife Plus is the APP with user friendly interface to let you in full control of your smart home. 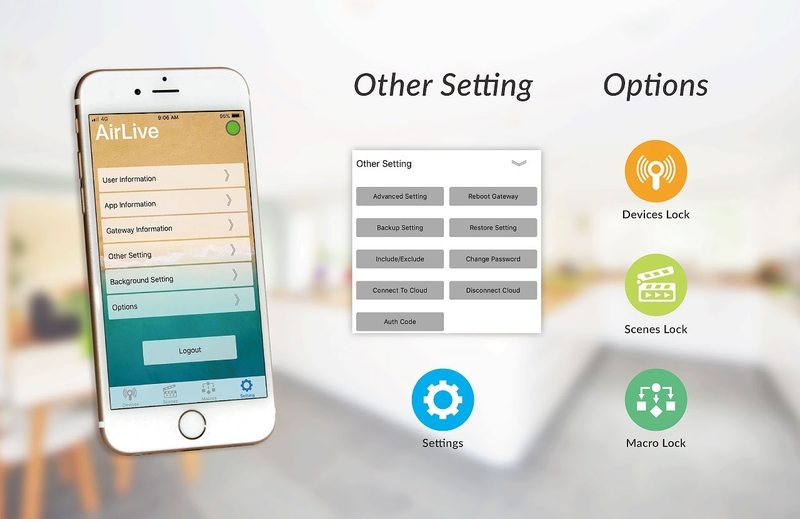 It includes device control, scene creation, and the IFTTT macro rule which creates many Automation Possibilities for your smart home operation. Open your APP, then scan the gateway’s QR code. The APP automatically display all your devices. Then you can view the IP camera, check the room temperature, see how much power is used, or turn on the alarm. Everything is clearly visible and easy to use. Create different combination of activities using the scene tools. You can create a scene base on a location such as living room. On the other hand, you can also create a scene base on a occasion such as party mode, theater mode, or welcome home schemes. 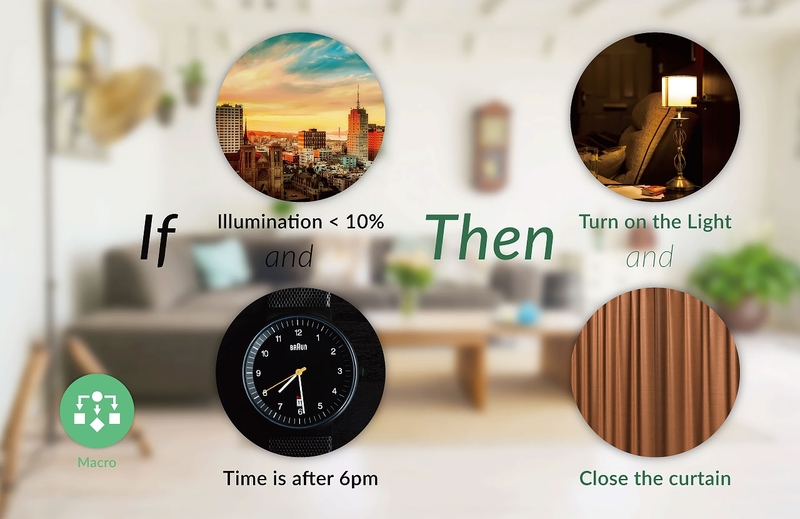 You can even set automatic activities when you are away from home. The SmartLife Plus supports ITFFF(If this then that) protocol. Therefore, you can setup certain conditions to trigger some events. 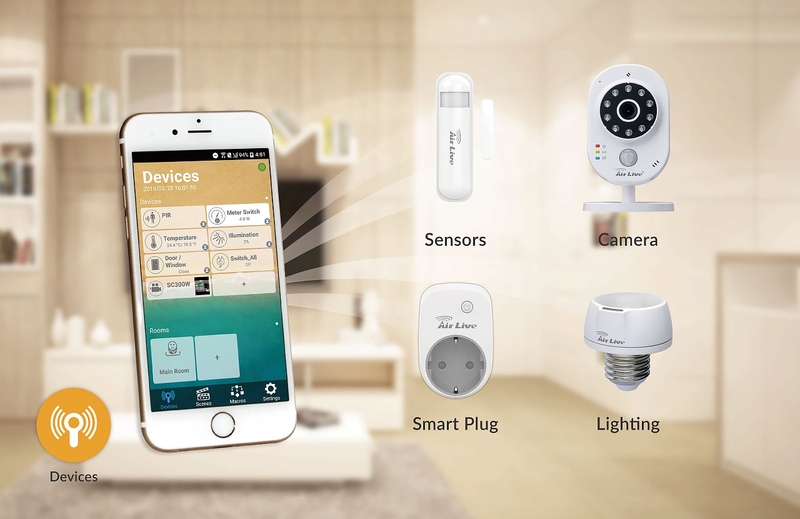 So whether it is for home security, temperature control, or home automation, the APP has a solution for you. In the Setting page, you can back up the Scene or Macro’s applications which you had set up. Besides, you can lock those settings then no one can change it randomly. Moreover, if you want to include/exclude any device, it also can be down at here. Supports Android 4.2 or Up and iOS 10.0 or later. Compatible with iPhone, iPad, and iPod touch. How to use the OFF Mode function in Macro Setting ? How to use the Timer and Interval function in Scene and Macro Setting ? How to Automatically update the Firmware of the Gateway ? How to setup Alexa and Google Voice Control ? What is the Maximum Resolution of the SmartCube 300W Camera in the SmartLife Plus APP ? 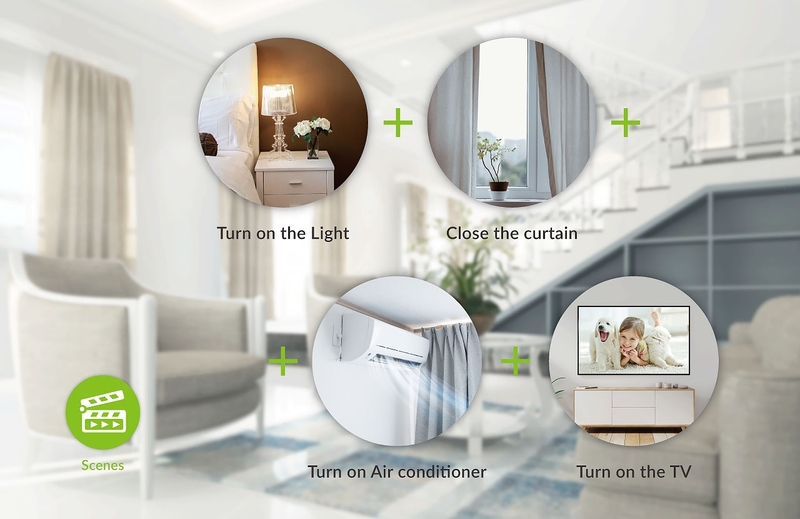 How to add AirLive Smart Cube SC-300W to AirLive Smart Home IoT SmartLife Plus APP ? How to select your Gateway when you have added multiple ones ? How to operate the Airlive Smart Life APP? Please make sure the sensors and/or actuators are included to the Gateway. By default all SK-101/102/103/104 packages will already have the sensors and/or actuators included to the Gateway. When a factory reset was done or all sensors/actuators were cleared from the APP. Or you want to add an extra sensor/ actuator, then please follow the below QIG guide for the including settings. How to add my SmartCube 300W to the Gateway and APP?